Greetings everybody! 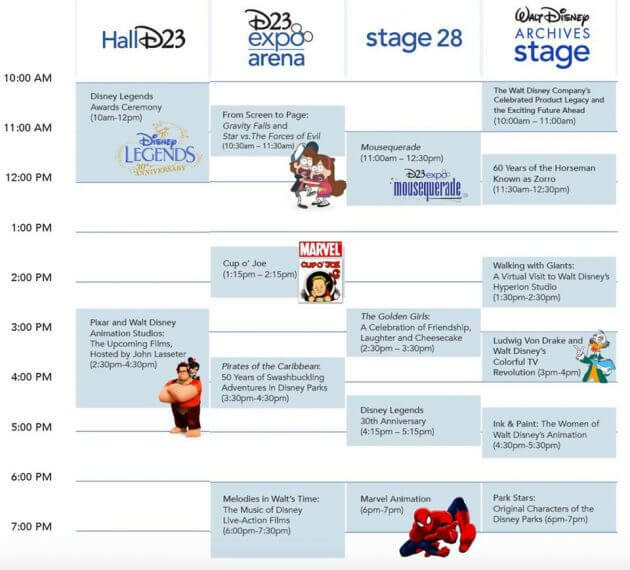 This thread is being opened to discuss news and coverage for the D23 Expo that is taking place this weekend (July 14th through July 16th). This can cover anything from collectibles to news and behind the scenes footage to a new trailer and beyond. I'm keeping my fingers crossed we get something good! What I'm most excited about is the upcoming Star Wars theme park in Disneyland and Disney World! I've never been to either but visiting a place this amazing is definitely #goals. As the theme park is apparently more focused on the future films than past ones, I'm curious if the planet is actually from TLJ, IX or the Solo film. It has some elements of both Jedha and Canto Bight, in addition to Tatooine and Naboo; but perhaps those are just repeating motifs in the new SW aesthetic. Seems like the Nazi influence is getting even more heavy-handed, because now the uniform even comes with an armband and the collar insignia of the SS! Assuming this uniform is from TLJ. I'm pretty sure I haven't seen the collar insignia before. OK Golden Girls tribute?! 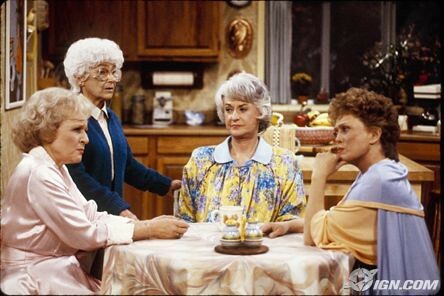 Like I had no idea that Disney had some kind of ownership over Golden Girls, but who cares about Star Wars and Pixar theme park, give us a GG one! I'm so nervous. I want them to release footage but dreading it has nothing that interests us. Or that they don't release shown footage that has something that interests us but we get some really WTF dexcriptons and interpretations and conflicting reports about what was seen/said. @vaderito wrote: I'm so nervous. I want them to release footage but dreading it has nothing that interests us. Or that they don't release shown footage that has something that interests us but we get some really WTF dexcriptons and interpretations and conflicting reports about what was seen/said. Yeah, bodes so well for BTS. When would they show the BTS and was it confirmed that they would at all? I don't see room for it on the schedule but I'm not familiar with this event. @Millicent the Cat wrote: When would they show the BTS and was it confirmed that they would at all? I don't see room for it on the schedule but I'm not familiar with this event. 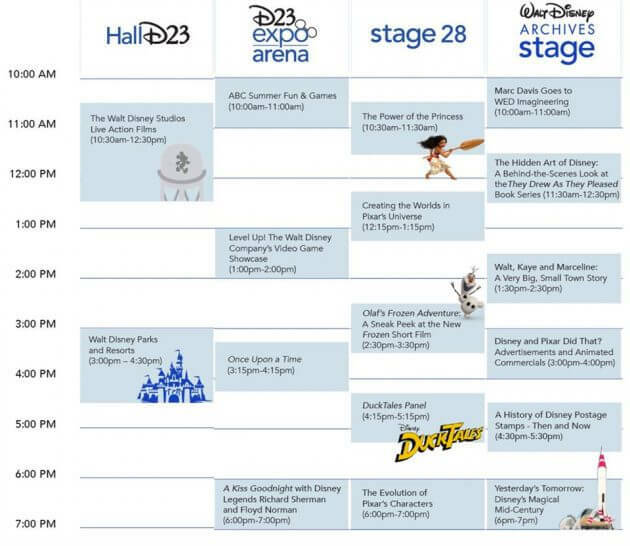 I guess it would be during the panel of the Disney action movies tomorrow. I didn't even see that! Yes, I think that makes sense. Wasn't there supposed to be a TLJ panel, or did I dream that? @Darth Dingbat wrote: Wasn't there supposed to be a TLJ panel, or did I dream that? No specific TLJ panel, but Rian Johnson is there, and there's a Disney Live Action movie panel, so it's a safe bet that TLJ will at least be touched upon there. 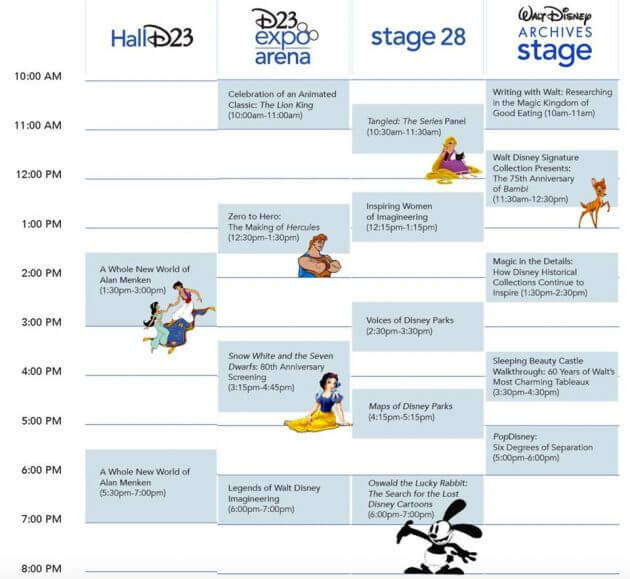 But I heard rumors there will be surprise guests, so here´s hoping at least Daisy is there. But who knows, maybe one of the surprise guests is Adam! How awesome would it be to have him there for a bit, but yeah, probably wishful thinking. Sigh.. According to Mike Zeroh, it will be shown on Saturday, July 15th at 10 am Pacific Time and then it will be uploaded online. He also said that in addition to the BTS reel there will be something extra shown to the people attending D23. I don't know where he heard this all of this information so I don't know how accurate any of it is. He starts to talk about it at the 0:55 mark. For what it's worth, I hope he's right about the BTS reel. So, Daisy, John and Gwen. I was hoping for Adam to be there too today, but alas no.. I just think having Adam there for once, would bring much more excitement and buzz to the movie. Wasted opportunity if you ask me. The just showed the the teaser for Wrinkle in Time on the live update site. I hope whatever is in tow for TLJ would be the same case! I'm also sick of them hiding Adam. It'd be like Anakin not showing up to anything. Kylo is the Skywalker. Friggin show him off and be proud of your casting choice.